We can take your project from concept to move-in ready. Our experienced crews will erect your building with top quality workmanship. Need to expand an existing building or modify it? We have the knowledge to get the materials and the changes done. We supply and install steel roofing and wall cladding on wood or steel structures. Manufacturing Facilities, Warehouses, Construction Equipment Storage, Machinery Storage, Tool Storage, and much more. Backyard workshops, External garages, Storage sheds, Sporting goods storage, Storage sheds, Tool shed, “Man cave” and much more. Retail Stores, Office Buildings, Malls, Warehouses, Manufacturers’ Outlets, Business Expansion, Inventory Storage, and much more. 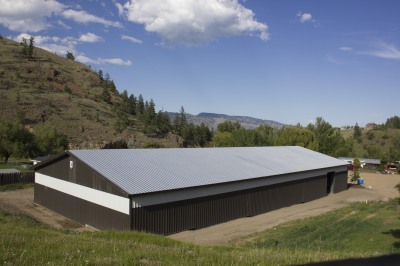 Riding Arena, Equipment Shed, Work Shop, Barn, Crop Storage, horse storage, and much more. Thank you for doing such a great job of building our Quonset. We have been so happy with the work done by yourself and your crew. 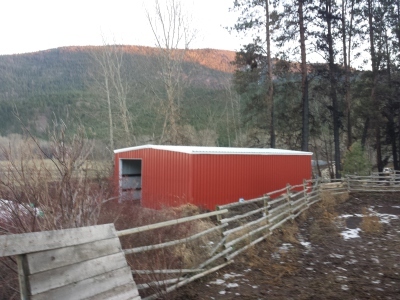 You were on time, thought to get caulking when we didn’t have any, put the Quonset together in the time you said it would take, (despite the 35 degree weather) and cleaned up nicely after you were done. Your team was professional and easy to work with. We would be very happy to recommend you to anyone needing a building like ours done. While ours was just a 30’ x 50’ build you recognized how important it was to us and responded to our every question with courtesy and attention to detail. Thanks again for a job well done!! This Letter is to acknowledge my very impressed recommendation for Nick, Justin and crew at Three S Steel. 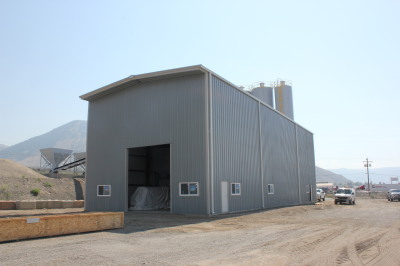 We just finished erecting a 70’x80’ CBC building addition at Kamloops Precision Machining.The professionalism and attention to detail is very impressive and we will definitely be working together in the near future. If anyone has any questions regarding Three S Steel please feel free to call me at 250-319-1309. Please accept this letter as my highest recommendation of Three S Steel Contracting Ltd. I have had the pleasure of working with them on the construction of our new office building (30’x50’x11’) and batch plant (40’x100’x32’). Three S Steel Contracting’s knowledge and attention to detail aided in keeping our building on track. Regardless of the request made they responded immediately and professionally regardless of timelines, distances and constraints. Thanks for the help in making our project successful! I would be happy to provide further information, if required.